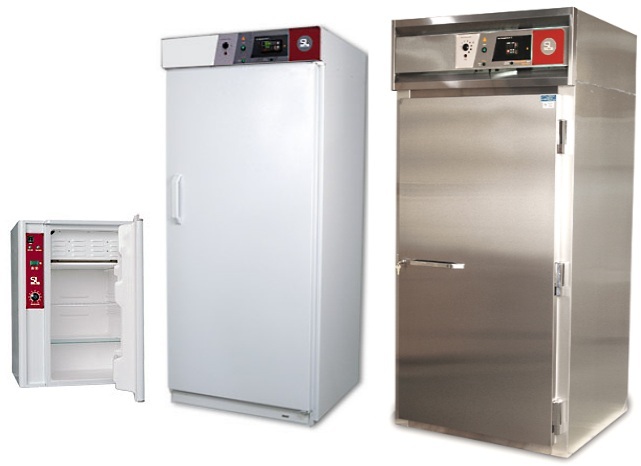 Refrigerated incubators or low temperature incubators are ideal for testing Biochemical Oxygen Demand (B.O.D) of sewage and waste water, as well as for other low temperature and room temperature applications. Three sizes are offered, a compact laboratory under counter 3.2 cubic foot (92 Liter) model LI5, and large capacity floor standing 21 and 25 cubic feet (603 Liter model LI20 and 708 Liter model LI27) units. Shel Lab LI5, LI20 and LI27 BOD refrigerated incubators are equipped with hermetically-sealed compressors, circuit breakers to protect from electrical overload, and easy-to-clean fully insulated chambers that are corrosion-resistant. Gentle, continuous forced-air circulation ensures temperature uniformity and reproducible test conditions. Please request information on the LIFLY Superfly incubators specifically designed for Drosophila and LI15 Diurnal Plant Chambers.